I just left them in Zadar on July 2. What a great time we had. This is a very beautiful country and the people are so nice. (Especially the people I was with! <3) Some highlights of the trip are below. Croatia (Zadar anyway) is super relaxed, the people are nice and I am amazed and in awe that I was able to have this experience! It’s definitely on the recommended list! So much old and New and not even really new but newer than the old! Good times with goofy friends! Look at that view… those mountains amazed me every day! Welcome of the Sun… solar panels soak up the sun during the day and shine at night to the rhythm of the waves. Doors! Lots of pretty doors! Biking on the coast of Ugljan! The Med from Ugljan off the bike path… STUNNING! Erika is one of my world traveling buddies! Pura Vida follows us wherever we go! 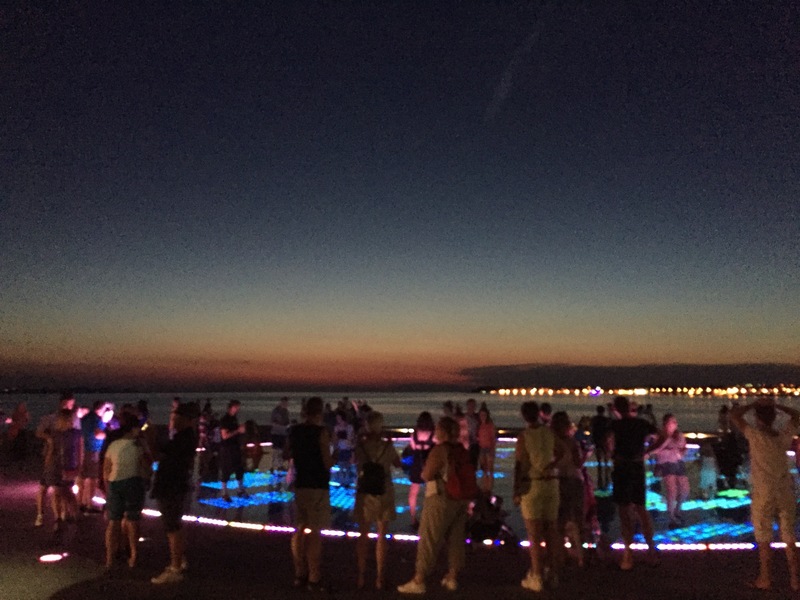 Standing on the Sea Organ! You really have to Google it! Have you ever been to Croatia? Zadar? What is your favorite city in Croatia and why?